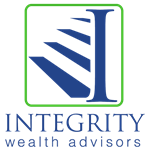 Integrity Wealth Advisors may be able to help you make investment selections and build an efficient portfolio within your 401(k), 403(b), or 457 retirement plan. Many retirement plans are offering self-directed brokerage options for their employees, which makes working with an advisor to help them with their investment planning possible. Are you taking the appropriate level of risk to meet your goals? 1. Dalbar’s 20th Annual Quantitative Analysis of Investor Behavior 2014: Average equity investor and average bond investor performance results are calculated using data supplied by the Investment company Institute. Investor returns are represented by the change in total mutual fund assets after excluding sales, redemptions and exchanges. This method of calculation captures realized and unrealized capital gains, dividends,interest, trading costs, sales charges, fees and any other costs.